All of the above mentioned entertainment lends itself perfectly to great nightlife. When the sun goes down, the fun comes out on the boardwalk. All of the daytime attractions are still going strong and do so well into the night. 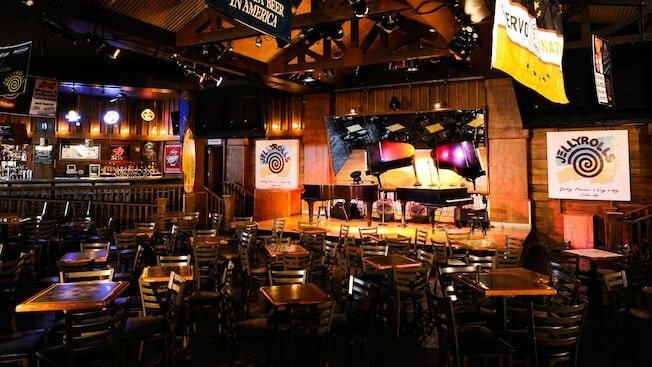 This is the perfect time to catch a game at the ESPN Club, or dance the night away at Atlantic Dance Hall. I love how the boardwalk looks at night too: the entire path is covered in string lights that twinkle up the sky. Disney also brings in special acts to perform on the walk at night. I’ve seen magicians, balloon artists, unicyclists and more! So fun! Dining at the Boardwalk is a little different than most resorts. Most resorts have a cafeteria, a signature dining restaurant in the building, room service, and a poolside bar. While the Boardwalk has the last two, the rest of its dining options come out on the walk itself. Their signature dining restaurants are Flying Fish and Trattoria al Forno. 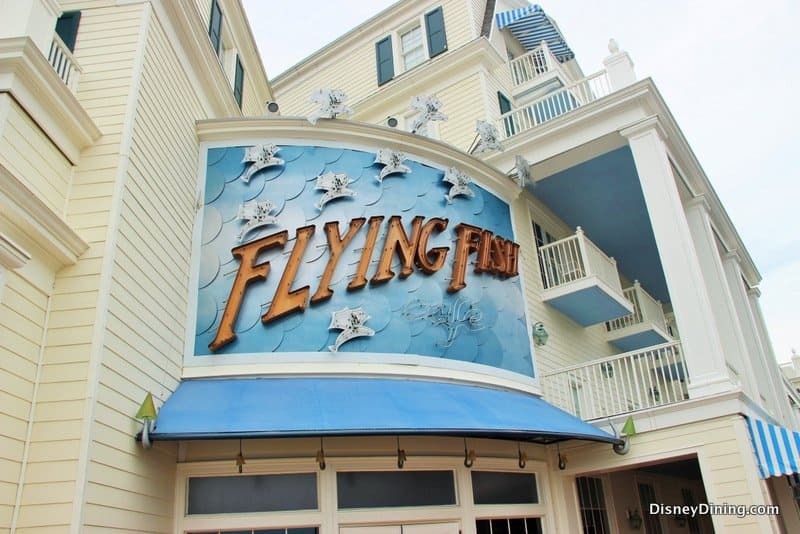 Flying Fish has absolutely incredible seafood and Trattoria is a great family Italian restaurant – it even has a really fun character breakfast! The other food choices on the Boardwalk, with the exception of a brewery, are typical grab and go options, like a pizza place, ice cream shop, fried dough booth, etc. This is a major draw for staying at Boardwalk. Thanks to the Friendship Boats, Disney’s own water taxi service, guests can easily get to Epcot and Hollywood Studios right from the resort. The trip to Hollywood Studios takes about twenty minutes, while the one to Epcot only takes five. If you’d rather, you can also walk to either park. There are beautiful pathways to take to each, and they’re super easy to get to. 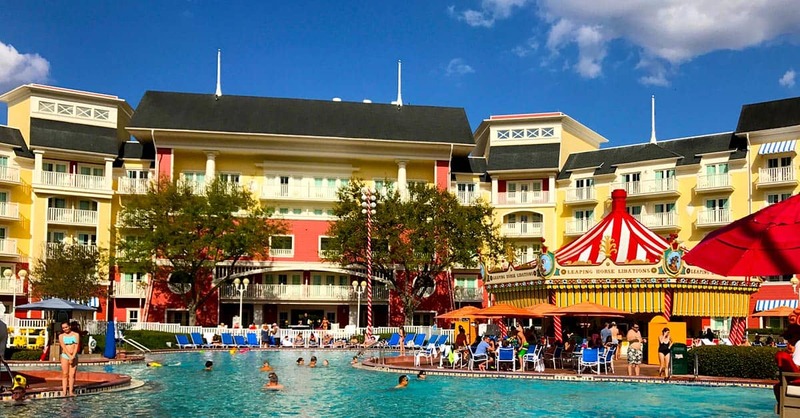 It’s incredibly convenient for park hopping, or coming back for a mid-day pool or nap break, or just coming back at the end of the day. 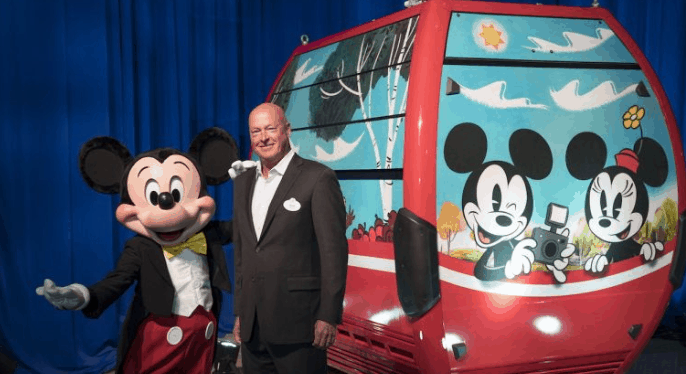 Coming soon to Walt Disney World is Disney Skyliner Transportation, a gondola system connecting the Boardwalk and other resorts to Epcot and Hollywood Studios. This doesn’t help the process of getting to Magic Kingdom or Animal Kingdom from the Boardwalk, but it’s one more easy, convenient, free method of transportation. Disney’s Boardwalk Inn is charming. Styled after ‘turn-of-the-century Atlantic City,’ guests are truly transported to this time. The entire resort, from the lobby, to the cast member uniforms, to the pool area, to the outdoor areas, the resort exudes elegance and leisure. I even love how it smells. The Boardwalk is an incredible place to just take a load off and relax. It’s easy to do in the white whicker rocking chairs on the back patio overlooking the lake. Staying at the Boardwalk Inn is like taking in a breath of fresh air. The Boardwalk Inn Resort is a deluxe resort with a million good things going for it. The unfortunate part about this is that it means everyone wants to stay here. The rates go up like crazy. 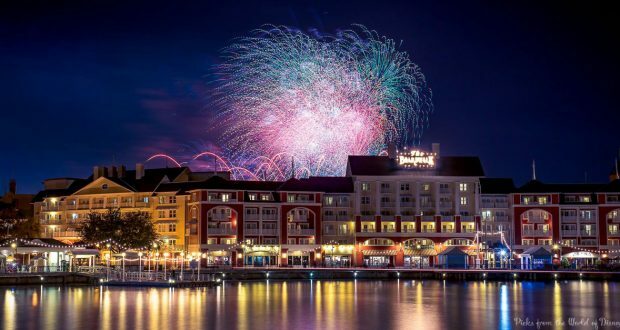 The Boardwalk is also a popular venue for Disney Vacation Club members to stay at the Villas. With all these things, you can bet on paying a pretty penny for a stay at the Boardwalk. The Boardwalk is really close to Epcot and Hollywood Studios (more on that later), but it’s not on the monorail loop. This is make or break point for a lot of people. It doesn’t bother me that much, but it does mean that to get to Magic Kingdom or Animal Kingdom, you are forced to take a bus or a Minnie Van. This can either get really annoying or really expensive, depending on which option you pick. There’s also self-parking, but then you have to pay at the gate. Not being on the monorail loop can really stink, but it’s all about preference.